We have been busy over the winter months with calving and now lambing in full swing. This is one of our most recent sets of twins and they are being well looked after by their mother. 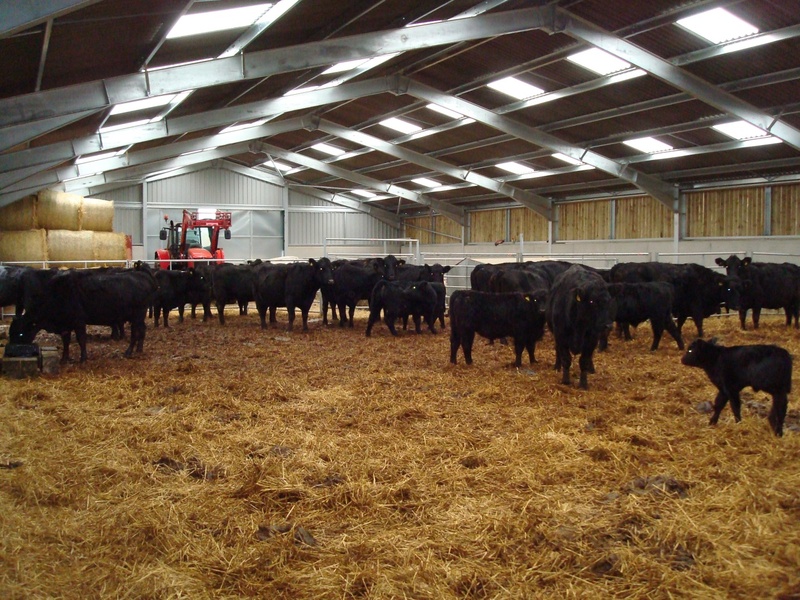 The winter was relatively dry which has been helpful for the animals although the cows have enjoyed being able to use our new barn. The Stables garden is looking amazing after a lot of work over the winter to cut back some of the larger plants. With the days getting rapidly longer we are already looking forward to some summer weather and long days of sunlight. 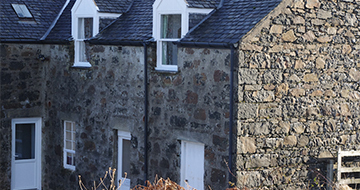 Our letting season is now in full swing and our recent guests have spotted a variety of wildlife including otters. 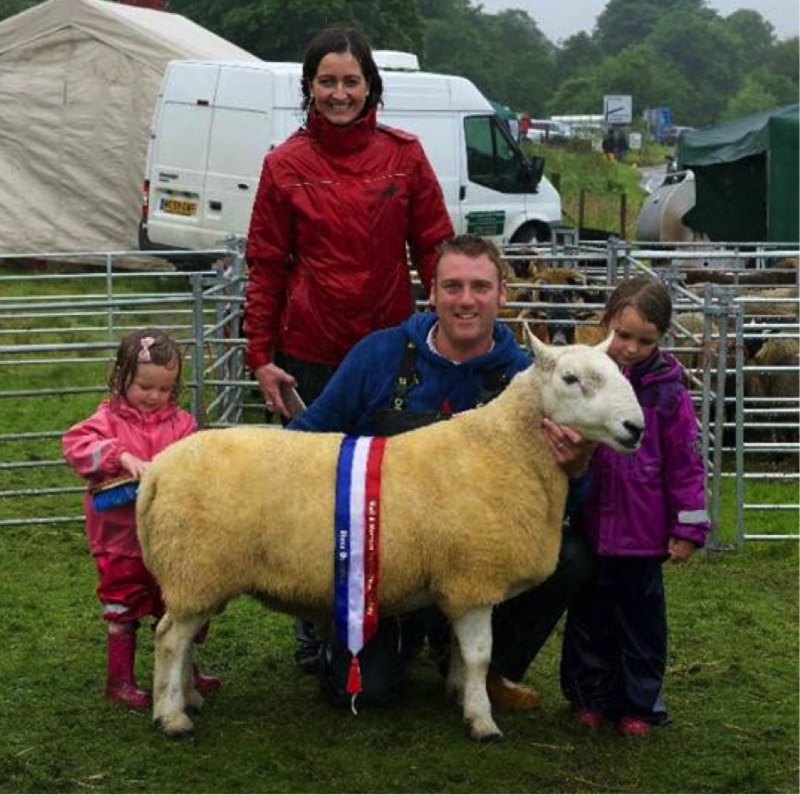 Our farm manager, Jamie, entered a few of our animals in the Salen Show and this cheviot won Show Champion Sheep. As you can see, keeping the sheep looking its best was a family affair! We are very proud of the care and attention that goes into producing such thriving animals on our farm. 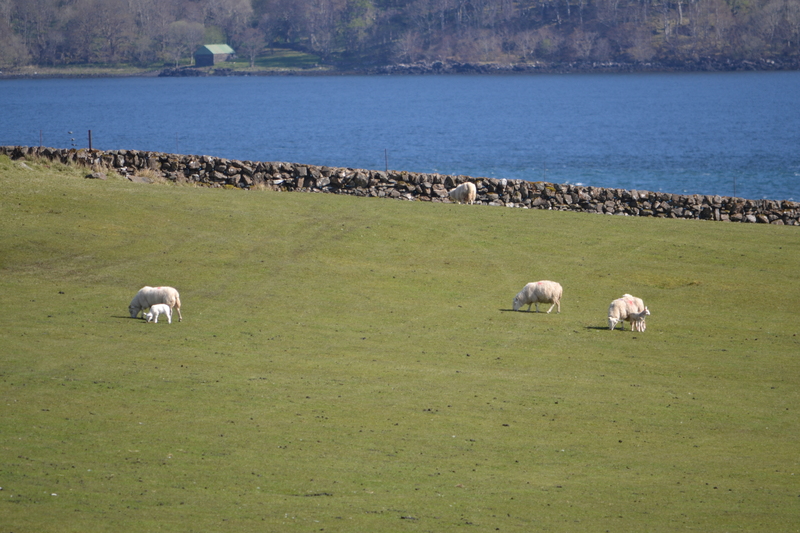 We had a glorious May and early June which was wonderful for the lambs and the young calves. 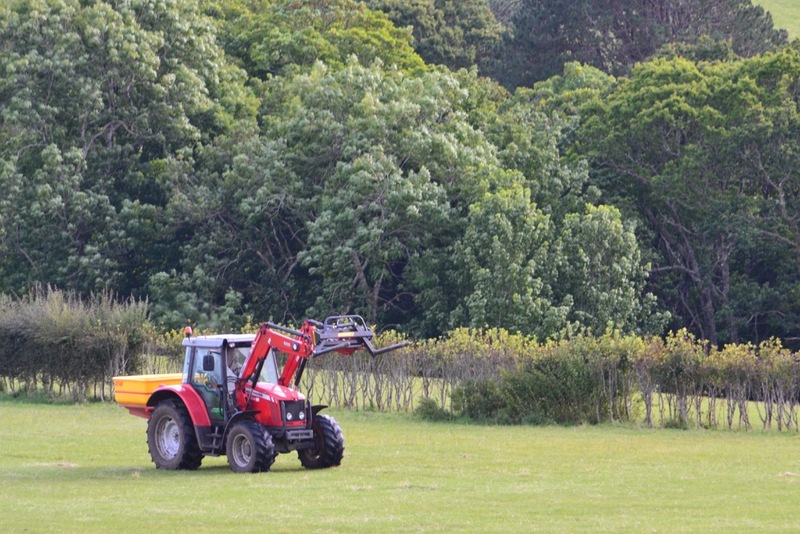 This is an important time of year for the growing the silage and we have been cultivating the grass to ensure that we get the best possible crop for next winter. 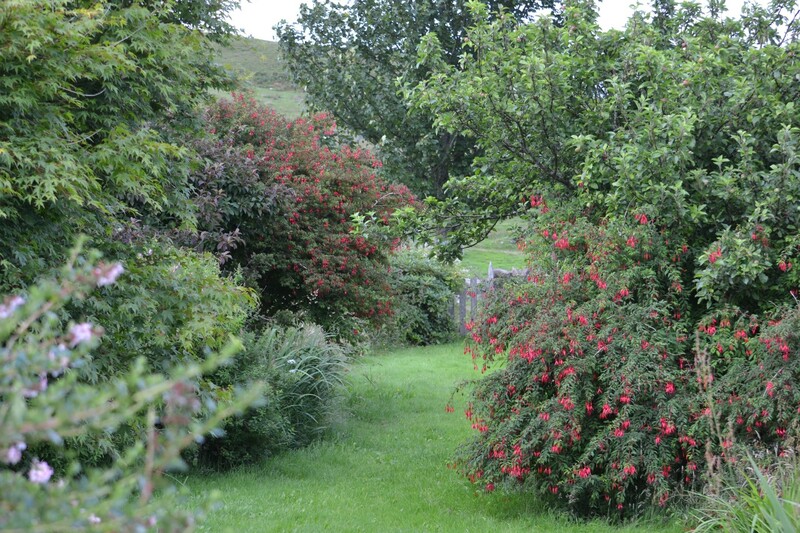 The gardens have been a riot of colour including the fuschia bushes which thrive here. 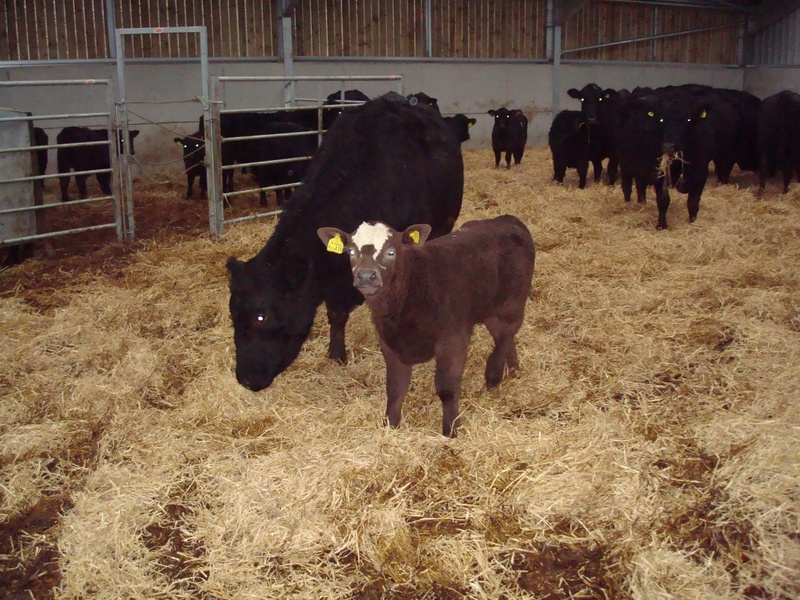 Our new calves are thriving, the Simmental/Aberdeen Angus calves are proving to be strong and beautiful. 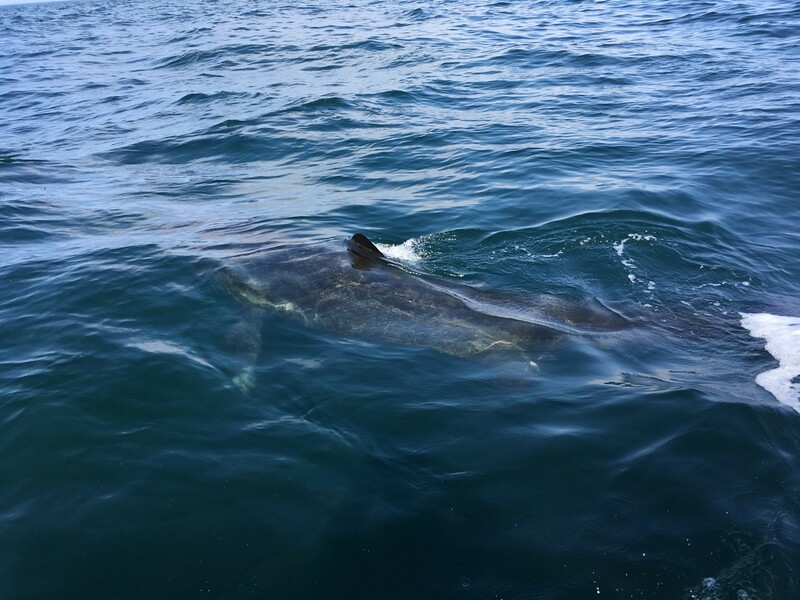 We have managed some amazing trips in the boat, seeing dolphins, porpoises, seals and basking sharks including a basking shark breaching which was quite incredible. Calving is now in full swing and the calves are loving the new barn. We have had some glorious weather. 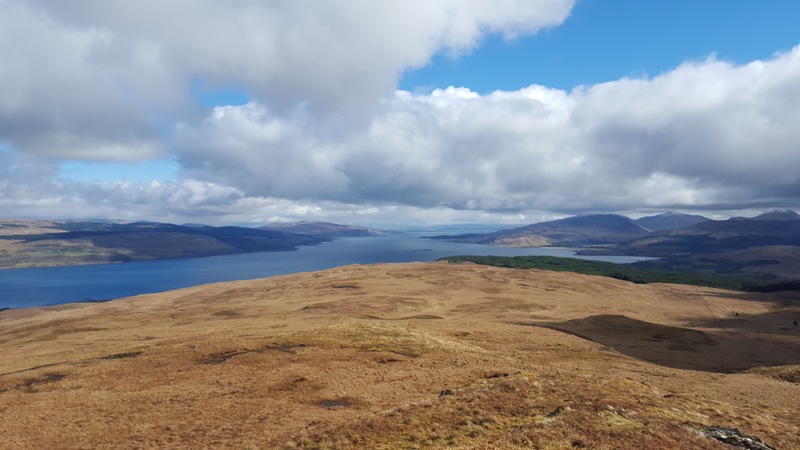 This photograph is taken from the top of Speinne Beag above the house looking down the Sound of Mull. We walked down to Loch Frisa behind the summit which is a great walk. 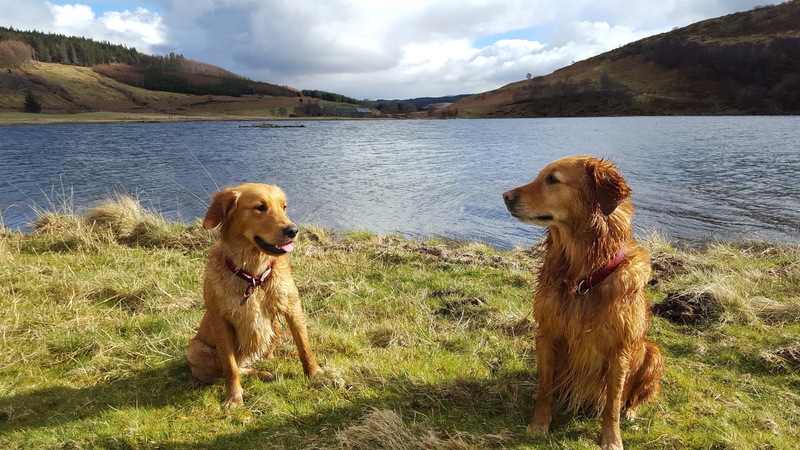 The dogs enjoyed a well-earned cool down swim in Loch Frisa after the walk. 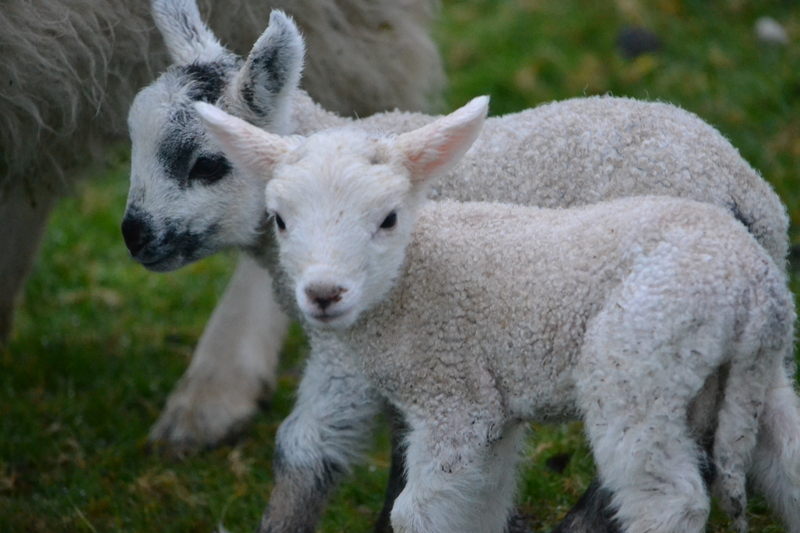 Lambing will be starting in the next couple of weeks. The lambing happens outside as the sheep are better mothers when their lambs are born away from other sheep rather than in close quarters. Our guests can often see them being born from the kitchen in the Stables which is an incredible thing to watch. Our new barn is providing welcome shelter from the wind and rain for our cows. The first calves from our Simmental bull are thriving in their new home. Currently we have about 40 cows and their calves spending the winter inside the barn. They have been joined by about 75 sheep which were born on the farm last year. We have been busy over Christmas and New Year with guests enjoying the festivities. Some of them were saved by Coastal Connection (www.coastalconnection.co.uk) who were able to get them over to Mull even when the Macbraynes ferry was unable to cross due to the wind. 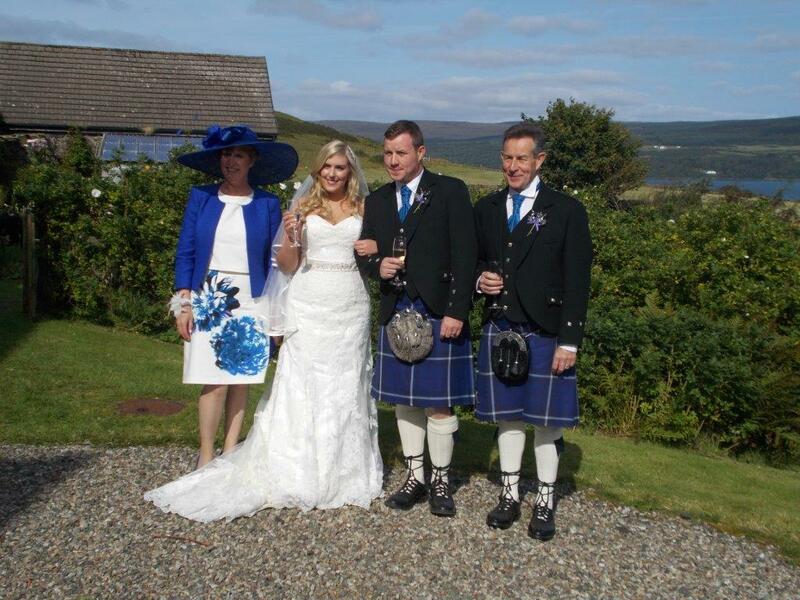 In September, we had our first ever wedding service held at Ardnacross. 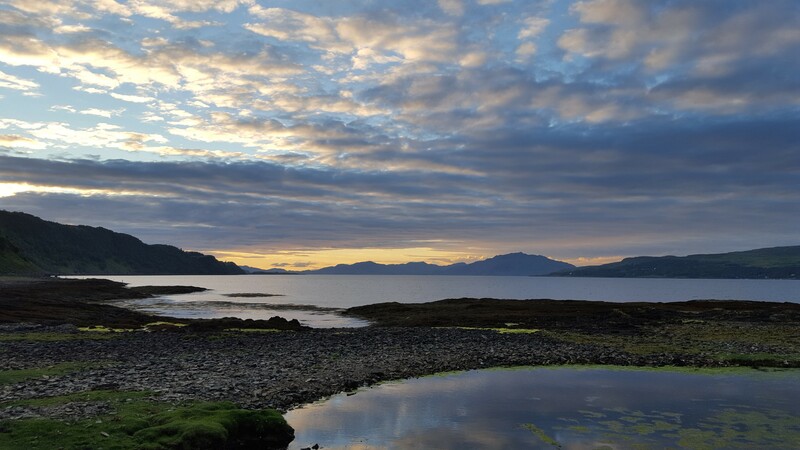 Gordy MacFadyen has worked at Ardnacross for nearly 30 years. Gordy and Violet’s oldest son Paul got married to his fiance, Alana, on a beautiful September’s day. We held the service in the garden of the main house and although Gordy and several helpers had put up the Mull community marquee as a back up, the sun shone and it was a perfect day. We wish Paul and Alana a very happy married life together. We have been busy on the farm getting ready for winter. The new barn is nearly ready for use and will provide the cows with excellent shelter from the wind and rain. 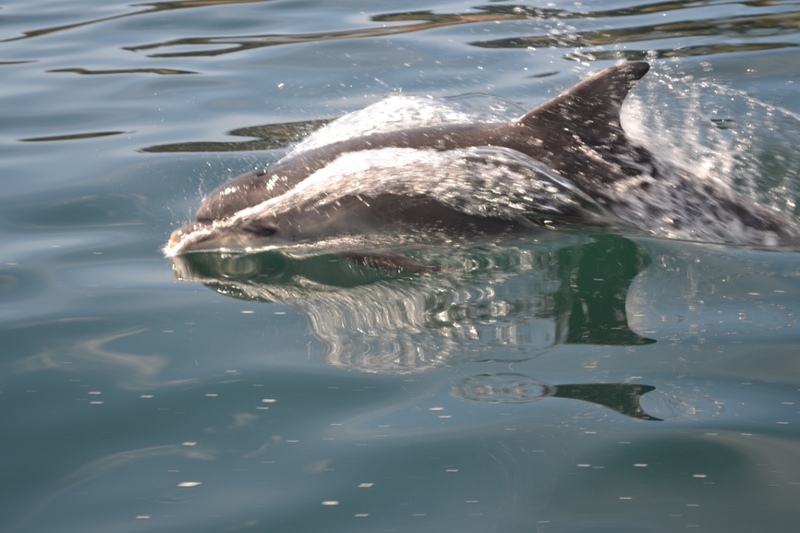 As we head into December, we are looking forward to our Christmas visitors. The autumn storms and rainfall have kept the hydro busy but we are grateful for the mild weather so far. 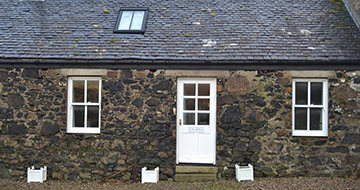 We have had a very busy few months at Ardnacross. The unseasonable weather has provided us with some challenges but August came good and we have managed to get the silage all made and baled up for the winter food for the cattle. We have built a new barn for wintering the cows in which will provide some excellent shelter for them and free up our old water-mill barn for the sheep and some of the machinery. 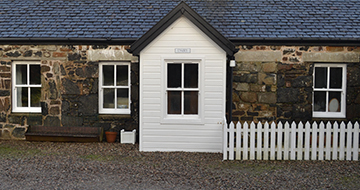 The farm shop has been as busy as ever and we have had a host of guests staying at the properties who have been having a wonderful time exploring Mull. Renovations on the Square are now complete and a new electric Aga has been installed in the kitchen. The family arrived for the second half of August with their various friends meaning that there were so many of us that we could host our own Highland Games. 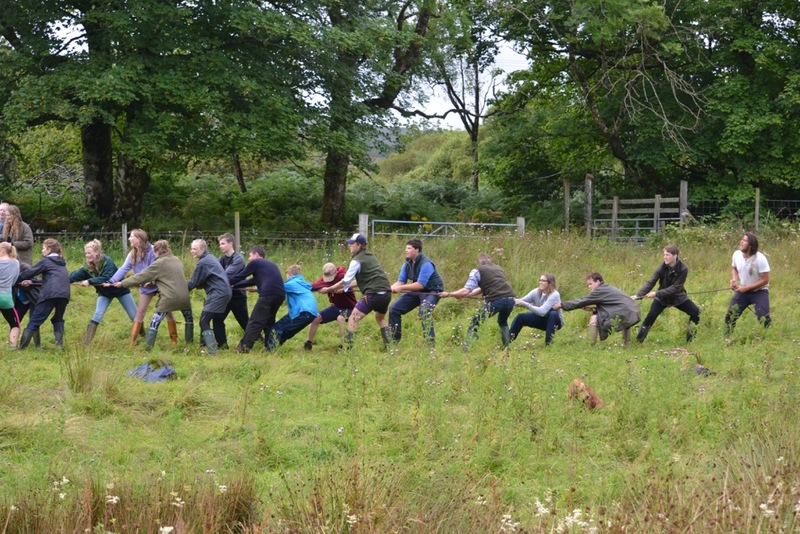 This included caber tossing, tug of war, wellie throwing and running races. 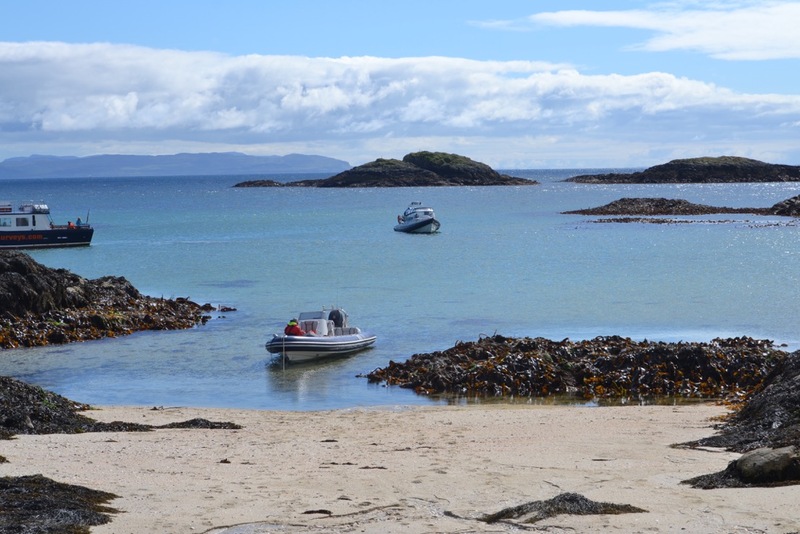 We also had another amazing trip with Coastal Connection, this time out to the Cairns of Coll where there are beautiful sandy beaches and clear water, definitely worth a trip. It has been unusually wet in Mull this May but this has at least been good for our Hydro system! Luckily in between the rainy days we have had some welcome sunshine and have taken the opportunity to do some sight seeing. 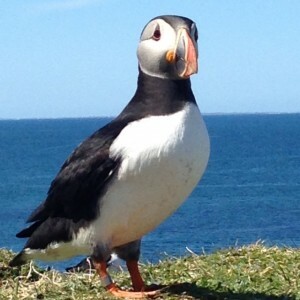 We had an amazing day out with Cameron from Coastal Connection who took us to Lunga to see the puffins. They were still preparing their nests and once their eggs are hatched, they will remain on Lunga until early August. 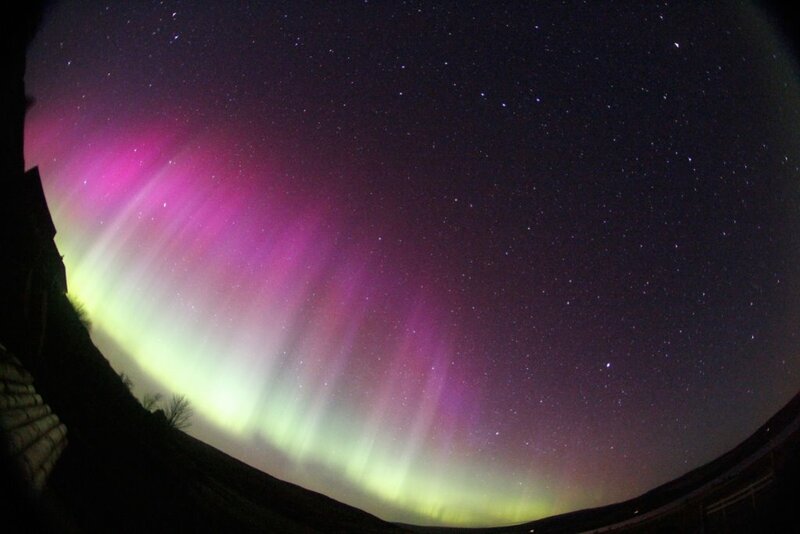 They are always an incredible sight no matter how many times you have seen them before. 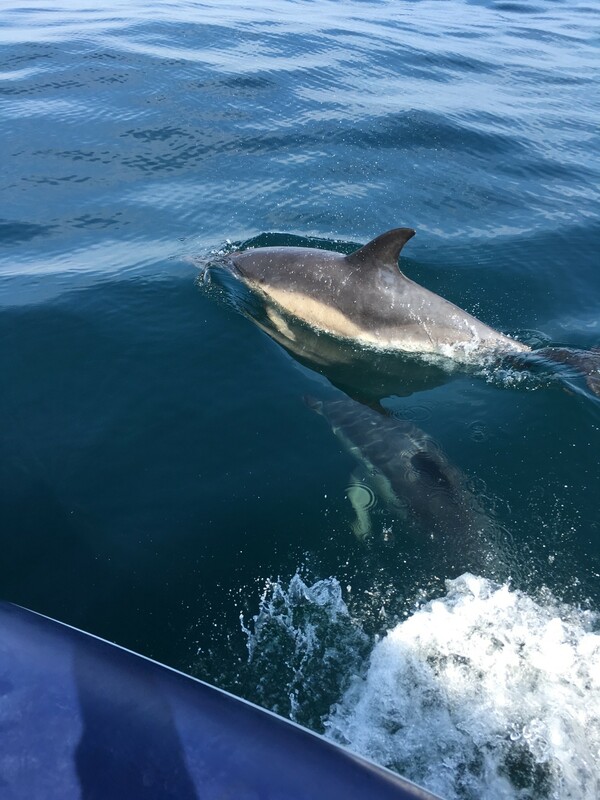 We were lucky enough to come across a school of bottle nose dolphins who played around the boat. 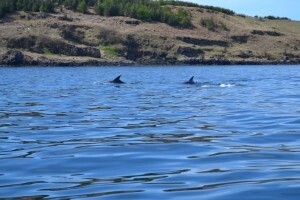 This was a real treat, we often see porpoises but to get these dolphins so close was amazing. 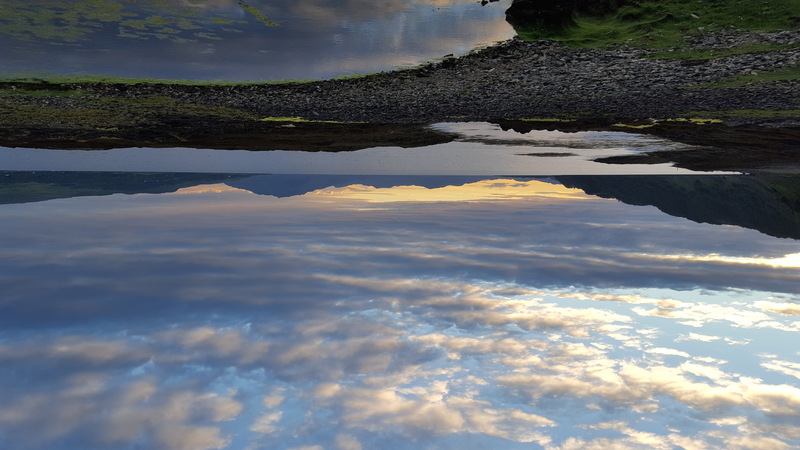 The solar eclipse has created special solar activity which has resulted in magnificent Northern Lights visible from Ardnacross and co-incidentally, because of high atmospheric pressure, exceptionally low tides. We have been kindly given this photograph by the Ibbotsons who stayed in the Dairy. 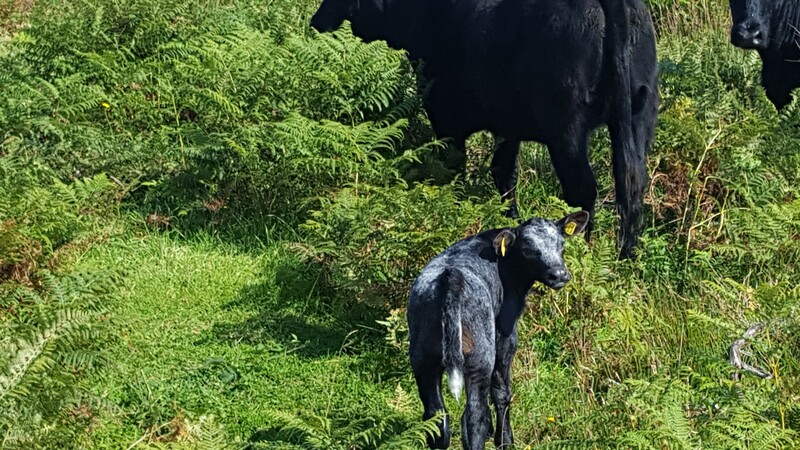 Spring calving has just about finished and we have a new family of beautiful Aberdeen Angus calves sired by our Angus Bull called James whose father was a top Pedigree AA Bull named Double O Seven. Lambing is now well under way, with one set of triplets, some twins and of course lots of singles. The curlews are busy nesting and we are woken up by their beautiful calling in the morning. The puppies are beginning to leave us to go to their new homes. 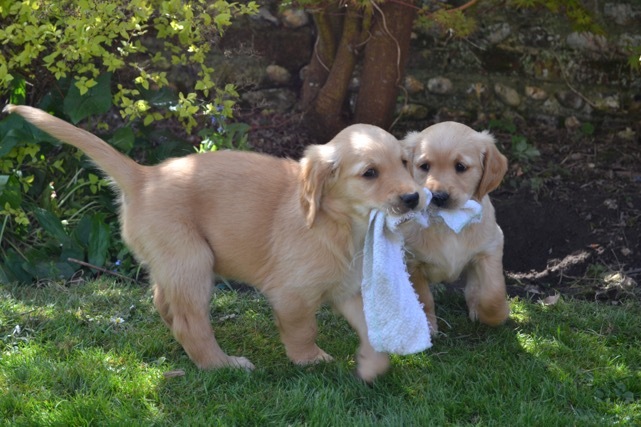 These are the two puppies being kept by the family. After an initial drenching, March has brought some dry sunny weather. The rain was a bonus for the hydro. The burn was at its highest since the hydro was commissioned and the intake was able to deal with an impressive flow of water. 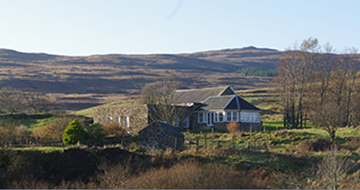 The hydro has been running non-stop since last October but a spell of dry weather with a SE wind will probably mean that it is quiet for a while but it has generated an impressive amount of energy in its first year. 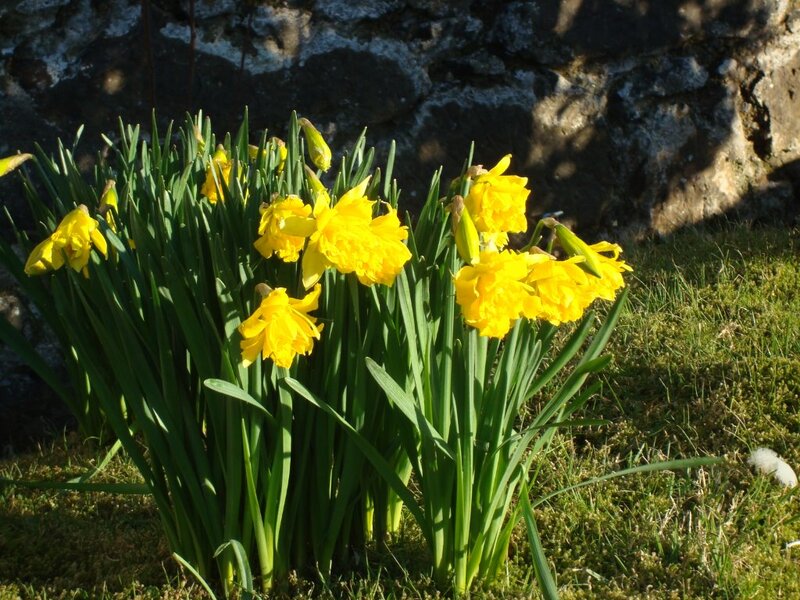 The warm weather has been good news for our carpets of daffodils which are enjoying the dry sunny weather and are around 10 inches high. The ducks have had a ball with all the rain and floods and now they have celebrated the arrival of spring by laying their first egg of the season . Our new bull, Kintyre, has gone out with our herd for the first time but seems more interested in posing than he is in the ladies. 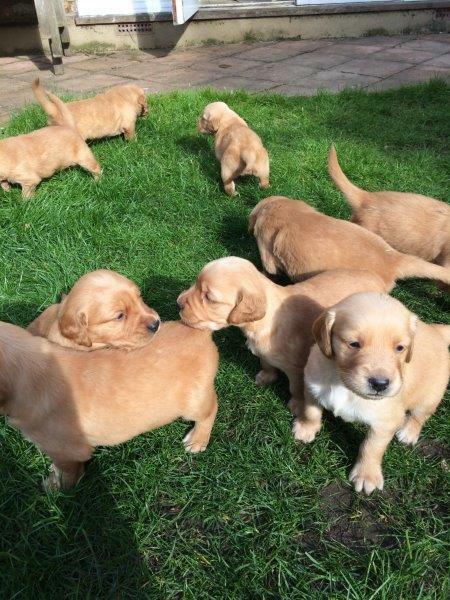 Finally, we have been joined by a large litter of puppies from our golden retriever. She has been busy with her litter of 5 girls and 4 boys whose eyes are now open and they are beginning to explore.